It is exactly what i required. Fitted perfectly Was so easy to add the acid pack which was all part of the price. Abso excellent! I phoned to check the battery was the correct one for my needs. Very helpful staff, confirmed which battery I needed, took the order over the phone and was delivered next day - less than 24 hours from placing order. Again excellent. Quick delivery. Straightforward process to fill battery. 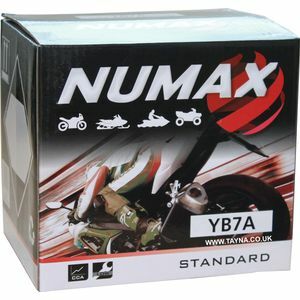 Have now got three bikes fitted with Tayna batteries. Received the battery far quicker than confirmed with the order so very impressed with this! Battery works fine with the bike and I have no problems with it or the gaurantee period given. Company does was they promise and happy with their service.